Designed specifically for the outdoor sports industry, a Triton Kayak trailer effectively eliminates handling problems and provides the easiest and safest way to bring new kayaks home, and, on to the water for years to come. You can haul 2-6 kayaks with our different rack systems. 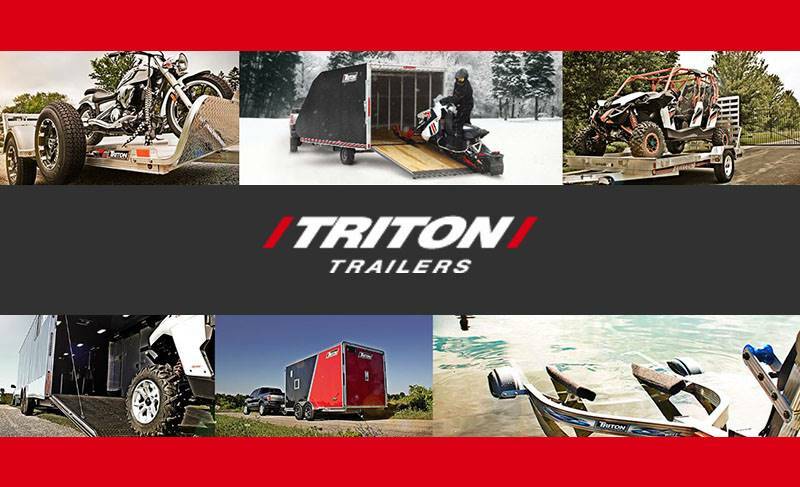 Fully Welded Frame: The Triton difference – all-aluminum, fully welded frame provides a solid structure for years of loading and unloading. 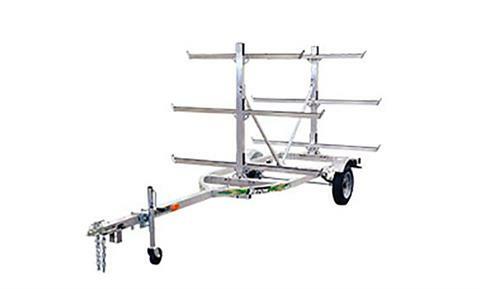 Carries Up To Six Crafts: Rack system with cushioned rails is designed for flat hull crafts and provides two-place, four-place or six-place carrying capacity. Accommodates Multiple Kayak Types: Designed to accommodate most recreational kayaks, touring kayaks, sea kayaks and sit-on-top kayaks. Check the dimensions of your craft(s) for proper fit. Tie Downs: Welded tie down tabs on all racks provide multiple points for cargo security. Galvanized Axle: Leaf spring axle with galvanized beam. Sealed Lights: Sealed lights and wiring harnesses throughout trailer resist corrosion caused by moisture.